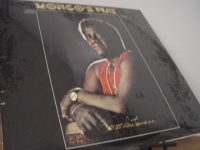 Classic Analog LPs - items 675 to 700 Shop MyMusicFix!! 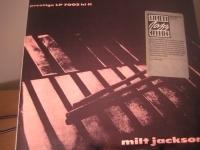 "Milt Jackson, Milt Jackson Quartet - Out of Print with Unique Marketing Sticker - Limited Edition"
"Milt Jackson, Milt Jackson Quartet"
"Moby Grape, ST - 150 Gram LP"
"Moby Grape, Wow - 150 Gram LP"
"Modern Jazz Quartet, Django - CURRENTLY SOLD OUT"
"Mongo Santamaria At The Village Gate"
Classic Analog LP Pressing. Tracks: "Feelin' Alright" "Fever" "Hip-Hug-Her" "Hold On, I'm Comin'" "I Can't Get Next To You" "Sunshine Of Your Love" "Heighty-Hi" "In-A-Gadda-Da-Vida" "On Broadway" "Tracks Of My Tears" "By The Time I Get To Phoenix"
"Moody Blues, Sur La Mer - Original 1988 LP"
"More Big Guitars From Texas, That's Cool"
Classic Analog LP Pressing. Artists Include: "Gerry "Phareaux" Felton, Ray Benson. Rick Casper Rawls, Jesse "Hercules" Taylor, "Sarah Brown" "Mike Buck." Tracks Include: "That's Cool, That's Trash" "Groovus" "Sunburn" "The Rebel-Johnny Yuma (Ghost) - Riders In The Sky/Eyes Of Texas" "High Tide In Hub City" "Alamo Beach" "The Absorber" "Woo-Hoo" "Holiday For Hoss" "Guitarget" "Neanderthal" "Hardy Street"
"Morrissey, You are the Quarry"
Classic Analog LP Pressing. 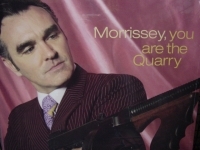 Tracks Include: "America is Not the World" "Irish Blood, English Heart" "I Have Forgiven Jesus" "Come Back to Camden" "I'm Not Sorry" "The World is Full of Crashing Bores" "How Can Anybody Possibly Know How I Feel?" and more! "Motley Crue, Girls Girls Girls - Original Issue- CURRENTLY SOLD OUT"
Classic Analog LP Pressing w small cut out in cover. Tracks Include: "Wild Side" "Girls Girls Girls" "Dancing On Glass" "Bad Boy Boogie" "Nana" "Five Years Dead" "All In The Name Of..." "Sumthin' For Nuthin' " "You're All I Need" "Jailhouse Rock". 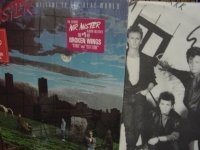 "Mr. Mister, Welcome To The Real World"
Classic Analog LP Pressing w/ small cut out in cover. This '80s group had two huge hit songs with "Broken Wings" and "Kyrie," both of which are on this album. 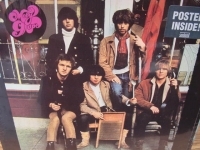 The photo shows the inner sleeve to clarify that it is the original. Tracks Include: "Is It Love" "Broken Wings" "Kyrie" "Uniform Of Youth" "Tangent Years" "Run To Her" "Into My Own Hands" "Don't Slow Down" "Black/White"
"Muddy Waters, Muddy Mississippi Waters Live"
MUDDY WATERS - ELECTRIC MUD - Out of Print Rare Analog LP - Warning: "Electric Mud" is a blues album with heavy psychedelic rock influences! If you consider yourself to be a blues purist, then I would encourage you to look elsewhere for something that will be more compatible with your musical tastes. With that disclaimer out of the way, let me invite those who are seeking something unusual--and especially those who like sixties rock music--to continue reading on. I consider this to be one of most original albums that I have ever heard. 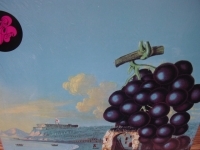 It is not a true blues album, but rather a concept album of blues with a heavy psychedelic rock influence. The idea for this album had its genesis with Marshall Chess, the son of Leonard Chess of Chess Records. Marshall Chess had just founded a new label named Cadet Concept, and this was the second album produced under the new label. When this album was recorded, Waters' career was in a slump; it had been a decade since he had a top ten hit. Marshall Chess was seeking out a new audience for Muddy Waters. 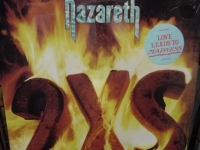 The basic instrumentation on this album includes a heavily distorted guitar (often with wah-wah pedal), fuzz-tone electric bass, saxophone, synthesizer, and drums. 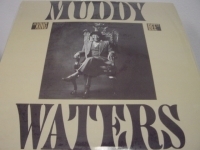 This is quite a stretch from the trademark Muddy Waters sound! 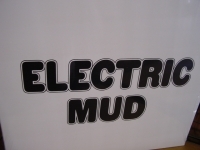 The ALBUM points out that "five of the eight songs on 'Electric Mud' were 'classics' from his catalogue, songs he had sung hundreds, perhaps thousands, of times. So the Main Man sang as he always had. His accompaniment, however, was very much of the moment." It is well known that many of the rock musicians of the sixties had blues influences. 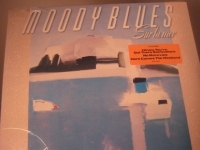 Now, here is a genuine bluesman cutting an album with new renditions of his songs, such as "I Just Want To Make Love To You," "I'm Your Hoochie Coochie Man," and "Mannish Boy," in more of a rock style. There is even a cover of the Rolling Stones hit "Let's Spend The Night Together." Wouldn't you agree that's a cool concept for an album? 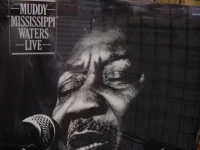 The vocals are one of the strong selling points of this album, and Muddy Waters has a great voice. The lyrics include occasional social commentary appropriate for the times. 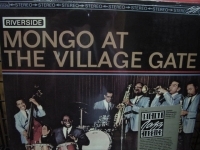 All of the musicians on this album were highly regarded studio players. I have tried to be as helpful as possible by warning the prospective buyer about what this album is about, but I hope that blues purists will not be offended by my saying that I really like this album. To be sure, it is not for everyone, but it is for me. I think that "Electric Mud" is very original and unique, and I value having it as a part of my collection. 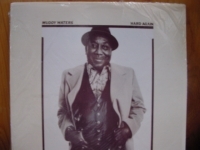 "Muddy Waters, Hard Again (w/ Johnny Winter)"
Classic Analog Out Of Print LP Pressing. 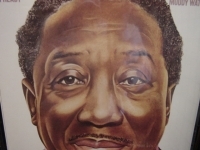 Muddy Waters' final album, KING BEE is the last of the three late-seventies/early eighties-albums produced by Texas blues guitarist Johnny Winter, -- its two excellent predecessors, "Hard Again" and "I'm Ready. 66-year old Waters is backed by virtually the same band that he worked with on "Hard Again" and "I'm Ready", and the arrangements are superb, making even somewhat mediocre songs like the light-weight "Champagne And Reefer" and the generic "Too Young To Know" work quite well. : There's the classic, shuffling "Mean Old Frico Blues", Muddy Waters' fine take on Slim Harpo's "King Bee", the slow blues "Sad Sad Day", the supremely funky "(My Eyes) Keep Me In Trouble", and the acoustic masterpiece "I Feel Like Going Home" (superb Son House-inspired slide guitar playing by Johnny Winter). The power and brute force of Muddy ripping through these great is something to behold. A good collection of solid, professionally executed blues music which will certainly appeal to Muddy-fans. Track Listing "I'm a King Bee" "Too Young to Know" "Mean Old Frisco Blues" "Forever Lonely" "I Feel Like Going Home" "Champagne & Reefer" "Sad Sad Day" "(My Eyes) Keep Me in Trouble" "Deep Down in Florida, # 2" "No Escape from the Blues"
Classic Analog LP Pressing w/ small cut out in cover. Tracks Include: "Love Leads To Madness" "Boys In The Band" "You Love Another" "Gatecrash" "Games" "Back To The Trenches" "Dream On" "Lonely In The Night" "Preservation" "Take The Rap" "Mexico"
Classic Analog LP Pressing w/ small cut out in cover. Tracks Include: "Big Boy" "Heart's Grown Cold" "Holiday" "Fast Cars" "Showdown At The Border" "Fallen Angel" "Ship Of Dreams" "Talkin' Bout Love" "Turning A New Leaf" "Talkin' To One Of The Boys"
"Neil Diamond, 12 Songs - CURRENTLY OUT OF STOCK"
"Neil Diamond, Hot August Night - MFSL Factory Sealed"
MFSL SEALED - NEIL DIAMOND - HOT AUGUST NIGHT . 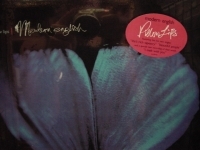 Limited Edition LONG OUT OF PRINT DOUBLE LP SET Don't miss out at purchasing this BECAUSE IT IS OUR LAST COPY FOREVER. This MFSL AUDIOPHILE vinyl re-issue (the sonics of these two lp's will blow you away) is a piece of musical history and is the only audiophile LP pressing of this classic Long out of print recording. You will be one of the last to own this MFSL Limited Edition Collectors Masterpiece. Track listing DISC 1: 1. Prologue 2. Crunchy Granola Suite 3. Done Too Soon 4. Dialogue 5. Solitary Man 6. Cherry Cherry 7. Sweet Caroline 8. Porcupine Pie 9. You're So Sweet 10. Red Red Wine 11. Soggy Pretzels 12. And the Grass Won't Pay No Mind 13. Shilo 14. Girl You'll Be a Woman Soon DISC 2: 1. Play Me 2. Canta Libre 3. Morningside 4. Song Sung Blue 5. Cracklin' Rosie 6. Holly Holy 7. I Am...I Said 8. Closing Theme (Instrumental Bridge) / Soolaimon / Brother Love's Traveling Salvation Show / Closing Theme (Instrumental) Reprise Details Playing time: 92 min. Producer: Tom Catalano Distributor: n/a Recording type: Live Recording mode: Stereo SPAR Code: AAD Album notes Personnel: Neil Diamond (vocals, guitar); Emory Gordy, Jr. (guitar, vibraphone); Richard Bennett, Danny Nicholson (guitar); Alan Lindgren (keyboard); Reine Press (bass); Dennis St. John (drums); Jefferson Kewley (percussion). String section includes: Hyman Goodman, Jay Rosen, John deVoogdt, David Turner, Tibor Zelig, Samuel Boghossian, Myron Sandler, Sven Reher, Linn Subotnick, Marilyn Baker, Philip Goldberg, Jesse Ehrlich, Giacinto Nardulli, Salvatore Crimi, Henry Ferber, Beldassare Ferlazzo, Wilbert Nuttycombe, Shari Zippert, Walter Wiemeyer, Richard Kaufman. Recorded live at the Greek Theatre, Los Angeles, California on August 24, 1972. 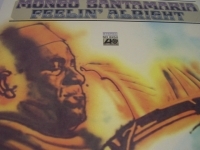 Originally released on MCA Records (6896). 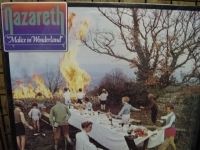 Includes liner notes by Karen Shearer. 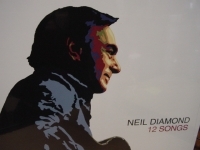 All songs written by Neil Diamond. In addition to his excellent skills as a songwriter, Neil Diamond is also known for his bold, often theatrical performance style. One glance at the cover of HOT AUGUST NIGHT--Diamond clothed in denim and Native American jewelry, with his hands hovering over his body, and an expression suggesting a trance of intensity--and the listener knows he or she is in for some serious performing. The pop icon delivers as expected; HOT AUGUST NIGHT, recorded in 1972 at the Greek Theater in Los Angeles, documents the epic showmanship of a Neil Diamond concert. Listeners will certainly get their money's worth. Diamond's best-loved songs stuff the two-disc, 25-track set list--the ubiquitous "Sweet Caroline," the infectious "Song Sung Blue," et al, plus versions of "Red Red Wine" and "Girl, You'll Be A Woman Soon," which he wrote, but were also hits for others. An energetic backing band and a full string section complement the singer's impassioned performances, and an encore medley of "Soolaimon" and "Brother Love's Traveling Salvation Show" brings the show to a fiery close. 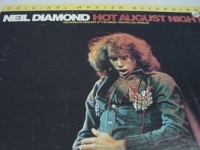 HOT AUGUST NIGHT remains one of Diamond's best-selling albums. Give it a listen and see why. MFSL LIMITED EDITION. This Limited Edition FACTORY SEALED LP is an audiophile collector's item that simply gives the feeling of being directly in the studio with the artist. Used nothing but the finest lacquers. The more you play the LP, your stylus will polish the grooves and actually improve the sonics. It includes rice paper disc sleeve to protect each of these rare LPs. This recording is mastered from the Original Session Tapes. This Out of Print LP has all Liner Notes, Photos, and Artwork from the Original LP faithfully recreated. "Neil Young & Crazy Horse, Sleeps With Angels (2 LPs)"